HUGE PRICE REDUCTION! BUY IN 2018 before rates increase again! South Lakeland/Mulberry location! 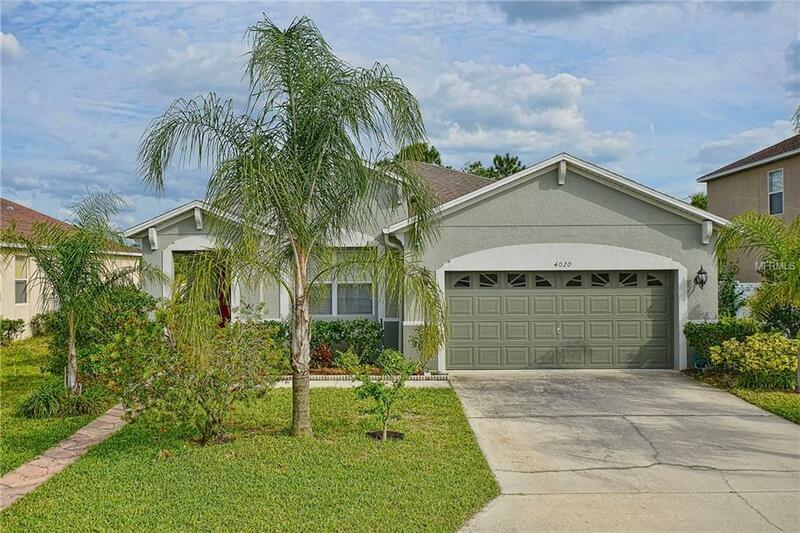 Fantastic value in this well maintained 3 or 4 bedroom, 2 bath home! It shows like a model home! Plus No down payment required with a USDA or VA loan. This FORMER MODEL HOME on conservation lot has many upgrades: keyless entry, upgraded lighting fixtures, alcohol burning Fireplace, 18 tile, large kitchen with lots of counter and storage space, beautiful 5x8 granite island, custom backsplash and 42 cabinets, COOKSTOVE is piped for gas/propane, but if buyer prefers electric, it will be switched out. New bamboo hardwood flooring with 5 baseboard, painted inside and out in 2016, formal dining and living room, stone accent wall, window treatments, intercom with music system, security alarm, garden tub and shower in master bath, dual sinks in both bathrooms, converted Den with French doors could be a 4th bedroom, split bedroom design for privacy, irrigation system, gutters, oversized garage with epoxy coating and raised garage door to make room for lift, covered lanai, private backyard with no rear neighbors, fully fenced, mature landscaping, close to shopping, restaurants and easy access to Orlando and Tampa. Some furniture will be available to purchase separately. Additional Lease Restrictions Please Review The Deed Restrictions. Pet Restrictions Please Review The Deed Restrictions.